The school is a member of the University Bretagne Loire, a community of universities and institutions. 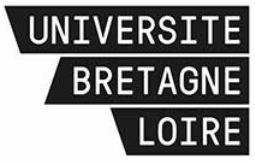 The University of Bretagne Loire federates 7 universities, 15 grandes écoles and 5 research organizations in Brittany and Pays de la Loire. This community of universities and institutions (EUCUE) aims to develop the scientific and academic potential of this territory at national and international level.